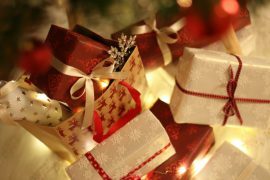 Tired of the same old Christmas decorations? Us too! 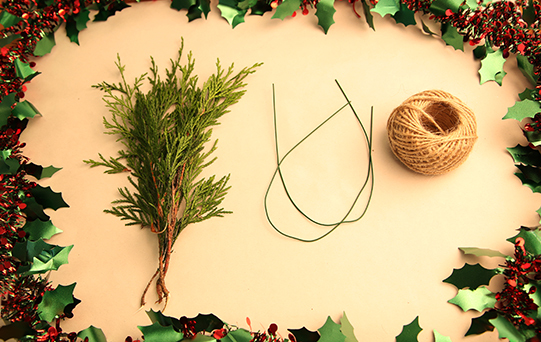 As much as we love colourful lights and shiny baubles, we’ve been pining for some back to basics natural decorations. 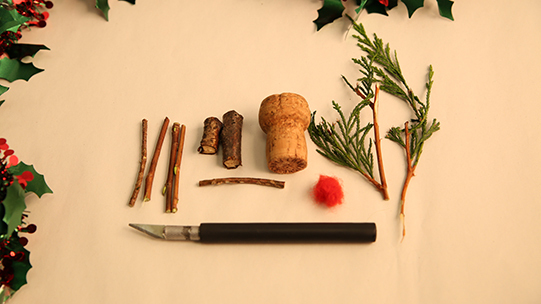 We had a root around in the garden to get some inspiration and it gave us some great ideas. 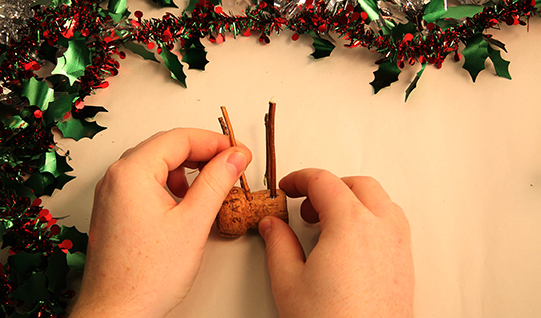 Make four small holes on the underside of your cork, big enough for the four legs (thin twigs) to fit into. 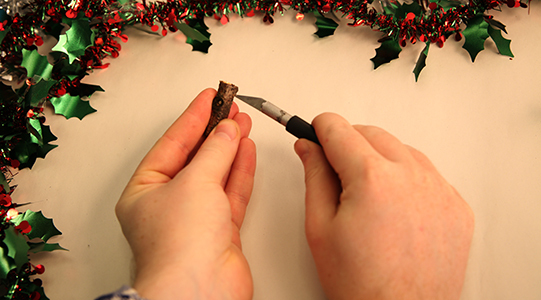 2.Carefully bore a hole on the underside of the head (thick twig) for the neck (medium twig) to fit into. 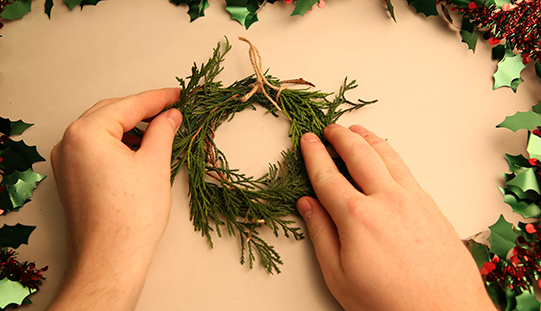 Then make two smaller ones for your fir branch antlers on the opposite side. 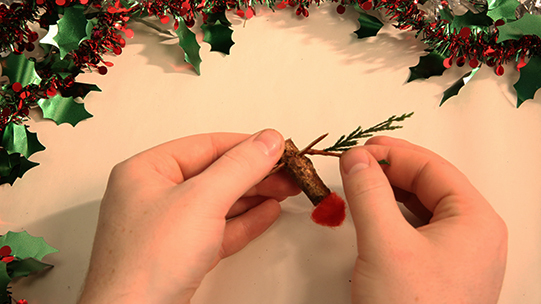 3.Fit in your neck twig, glue if necessary. 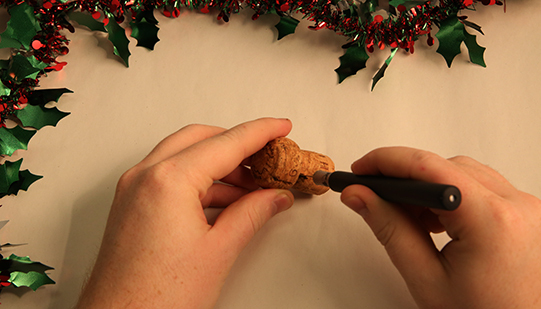 4.Fit in your four legs, glue if necessary. Leave leg side up while drying. 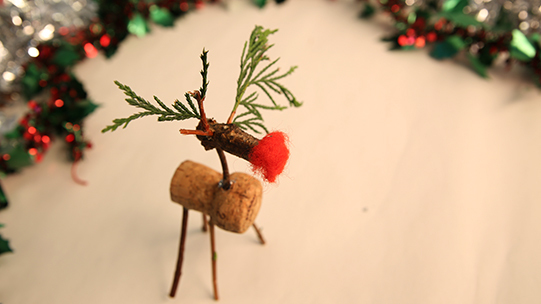 5.Glue your red wool nose onto the front end of your reindeer’s head. 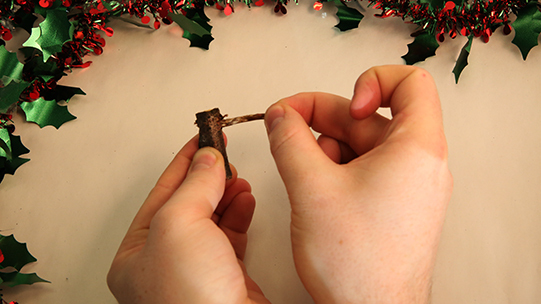 6.Fit your fir branch antlers into the two holes on the top of the head twig. 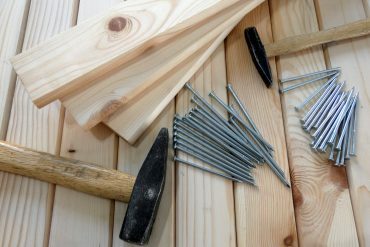 Glue if necessary. 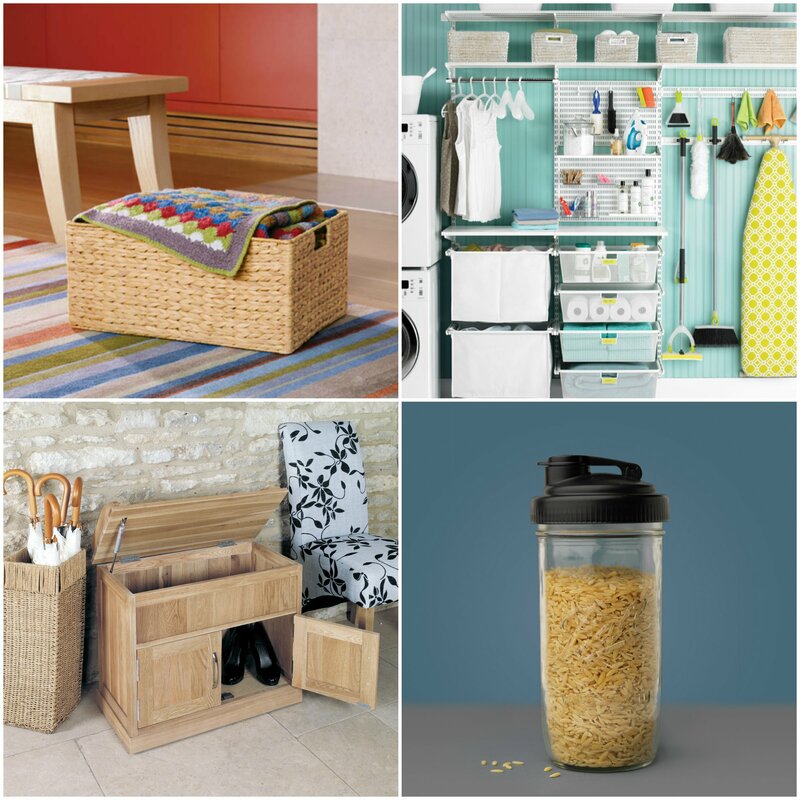 7.Fit your head and body together and enjoy your new friend! 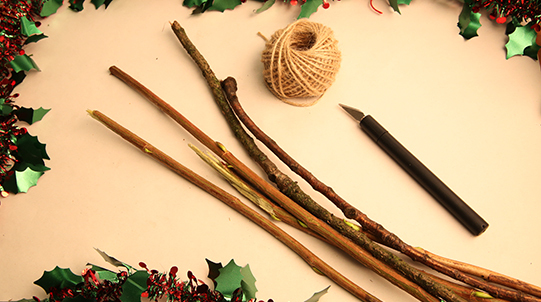 Cut your twigs into six roughly equal lengths. 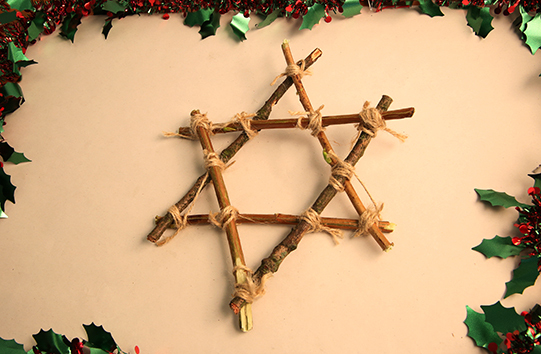 2.Arrange your twigs in the shape of a star to get an idea of the size of the two triangles. 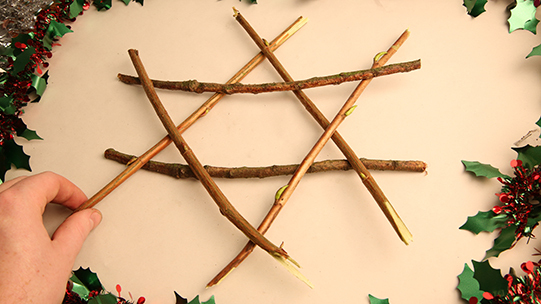 Score each twig at the point that you want it to intersect at each corner of the triangle. 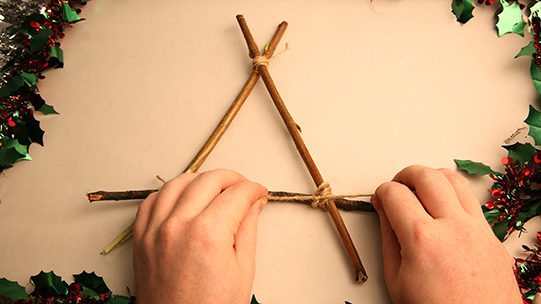 3.Arrange both triangles and tie with string at each cross section. 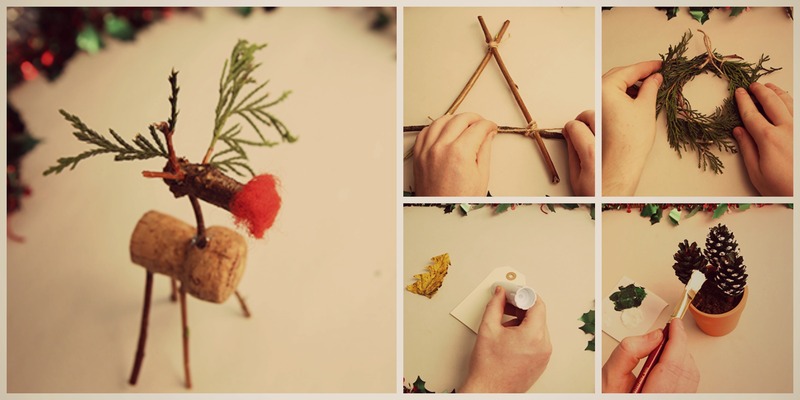 4.Place the triangles on top of each other and adjust accordingly. 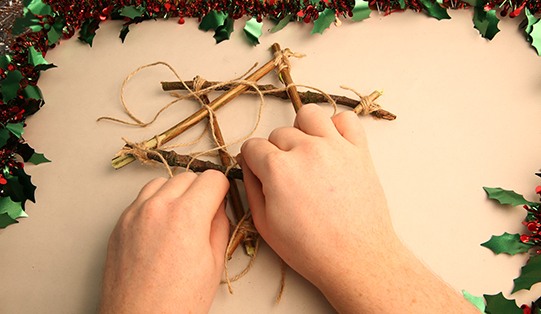 Tie into place with string at each intersection. 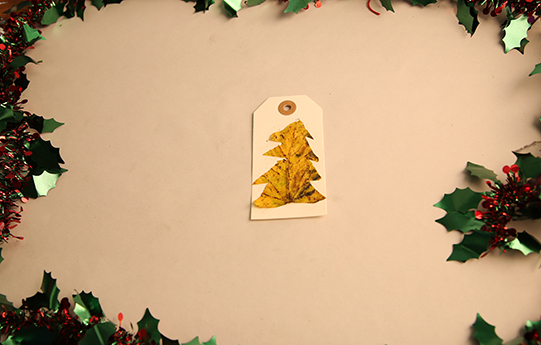 5.Your star is now ready to hang as a tree ornament or wall decoration. 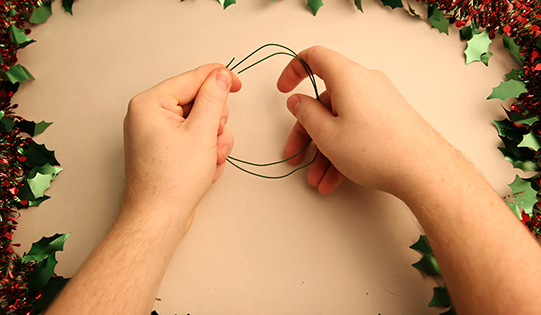 Take two equally sized pieces of garden wire and bend into a circle shape. 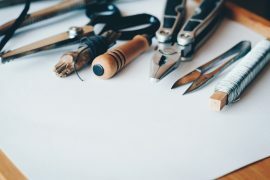 Tie together with string if needed. 2. 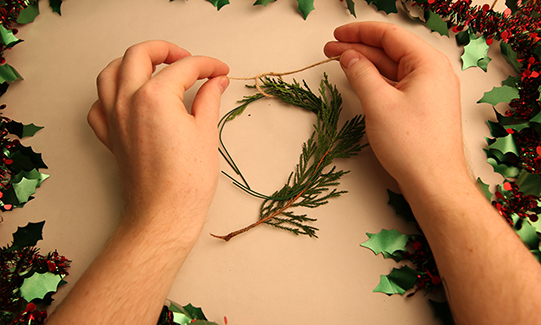 Weave the first fir sprigs in between the two wire lengths. 3. Tie in place with a piece of string. 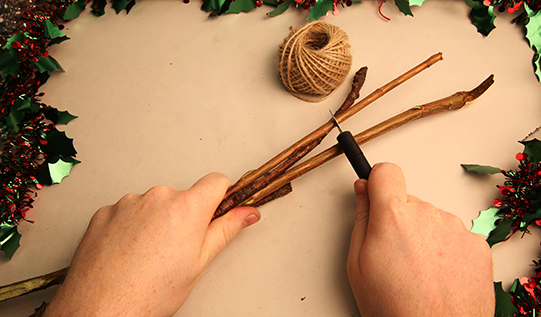 4.Follow the same step until full and bushy. 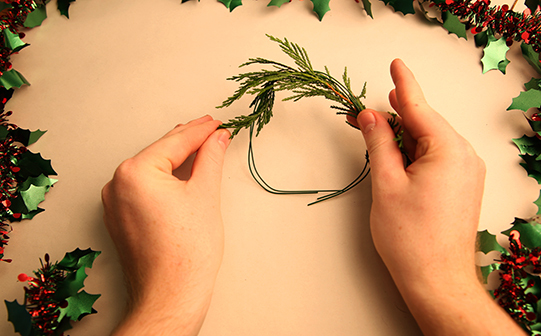 You won’t need to tie every sprig as the wreath grows fuller. 5. 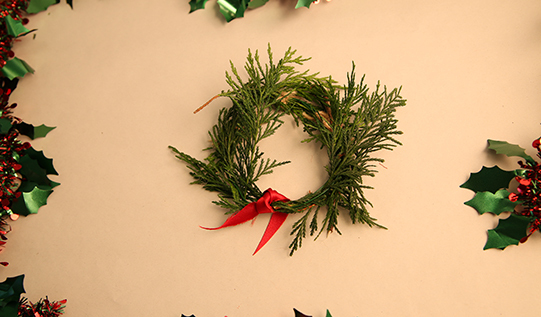 Add a ribbon for that extra seasonal touch and enjoy as a quirky dinner table decoration or a mini door wreath. 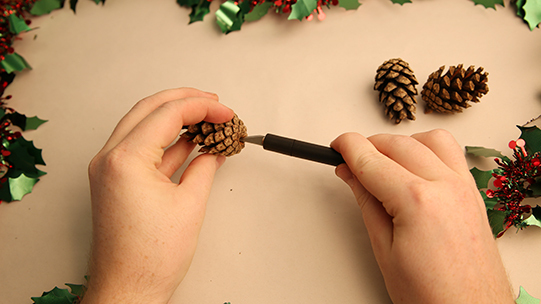 Use a craft knife to cut holes in the bottom of your three pinecones, big enough for your twigs to fit snugly into. 2. 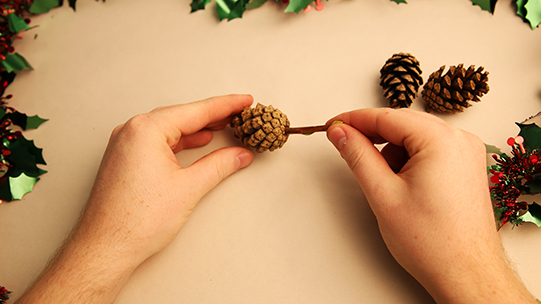 Fit your twig ‘trunks’ into the bottom of the pinecones. Use glue if necessary. 3. 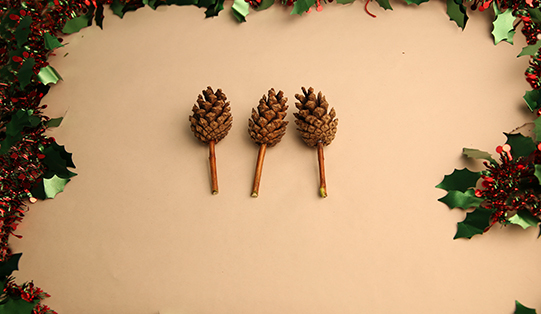 Leave your pinecones to dry on their side. 4. 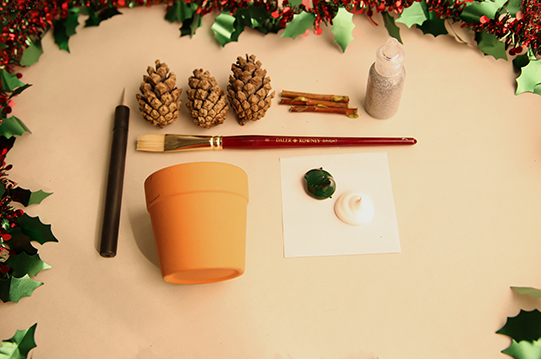 Once dry, place in your plant pot and paint with your green paint one by one. 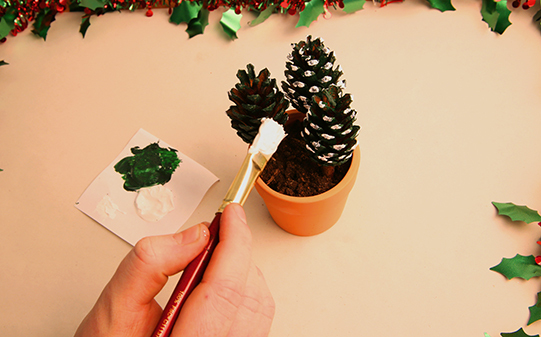 Leave them to dry upright in your pot. 5. 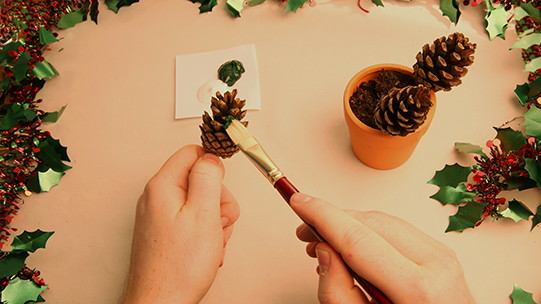 Once dry, paint your white snow decoration onto the edges of your pinecone ‘branches’. 6. 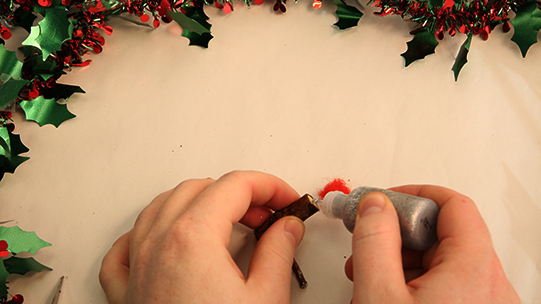 Add blobs of glitter glue onto your branches for some extra Christmas sparkle. 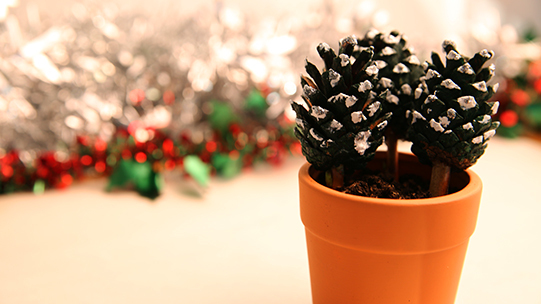 Use as a desk ornament in the office or give your sideboard that extra festive decoration. 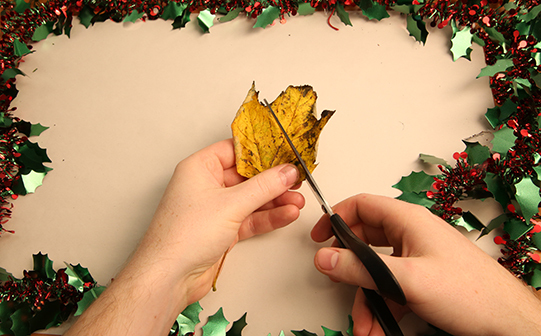 Use scissors to cut a tree shape from your leaf. 2. 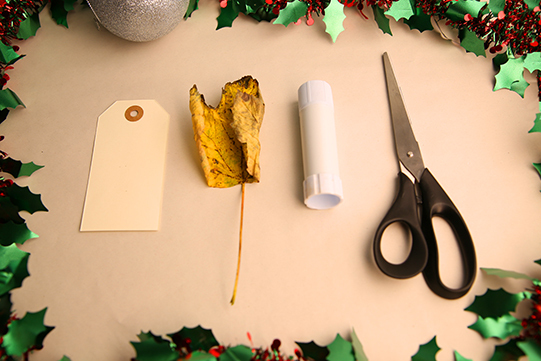 Apply a layer of glue to your gift tag and stick the leaf in place. 3. 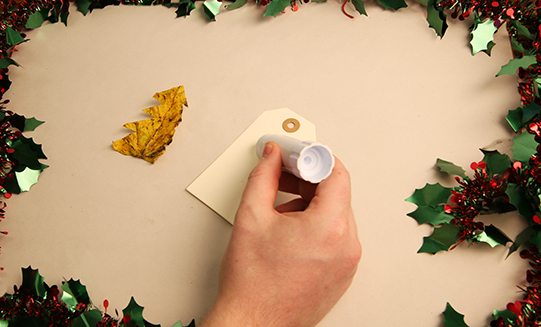 Add some string and write a note to give presents a personal touch.